Has it struck the big screen small body jackpot? Does having a large-screen smartphone (a style we begrudgingly term “phablets”) mean your pocket has to be weighed down by a big slab of tech, while those of us with small hands struggle to hold and type one handed? Sony doesn' seem to t think so, as it's just launched its super-slim Xperia C5 Ultra. Sony has thrown the phablet rulebook out of the window by surrounding the 6-inch screen withincredibly thin bezels – leading to a width of just 79.6mm. In contrast, the Nexus 6, which comes with a similarly sized screen, features a finger-straining girth of 83mm. The slimmed-down body of the Xperia C5 Ultra should make it easier to hold in one hand, even for those of us with dinky little digits. The aluminium frame and curved back could also help make the C5 Ultra look as good as it feels. 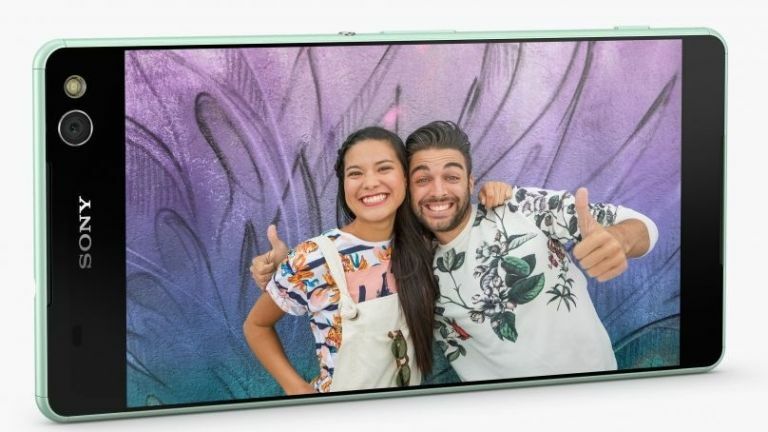 The C5 Ultra is also being billed by Sony as its “best selfie phone yet”, as it boasts Auto Scene Recognition to help you compose the perfect shot and a unique Selfie Flash that helps shoot clearer selfies day or night. A wider than usual field of view on the 13 megapixel front-facing camera will also allow you to cram in more of your friends and family into each selfie shot – if that's your kind of thing. The C5 Ultra won't be the most powerful handset on the market, and we'd have liked to have seen a higher resolution than 1080p stretched over the 6-inch screen, but we like what we're hearing about the slim and stylish body of Sony's upcoming phablet and we can't wait to get (both) of our hands on it when it launches in mid August. iPhone 6 Plus review: is bigger really better for Apple?